One Move For Huge Forearms: Wrist Curls. If you want the complete look of size & strength then your forearms cannot be ignored. Use wrist curls with the following methods & workouts and watch them grow. There are more to the arms than the biceps and triceps. The forearms are more visible. Building your forearm strength will actually assist you in other lifts. It would be really easy to put a Popeye reference in this article since it is about forearm training. Let&apos;s skip all the cartoon jokes and get right into this. 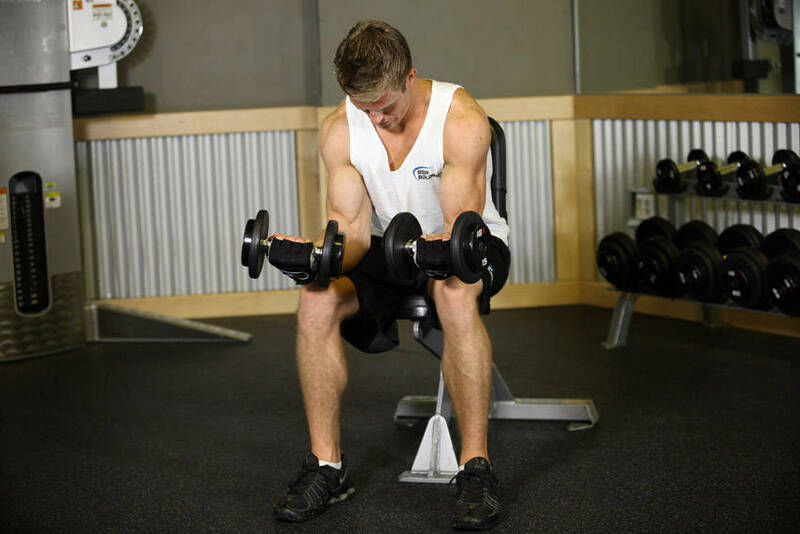 The fact is when it comes to arm training everyone focuses on the biceps and triceps. That is understandable but think about this. When you&apos;re normally out in your community you would more than likely wear a t-shirt or some other type of short sleeve shirt than a tank top. That means the most visible part of your upper body is the forearms. Wouldn&apos;t it make sense that you should give some focus to making the forearms look powerful and strong also? So how do you train them? One way to help improve your forearms is to simply squeeze the handles of whatever piece of equipment you are using when training for dear life. Concentrating on this will help both increase grip strength and actually will help you with the movement you are doing. Of course you can train them directly and that is what the plan is here. There is an exercise that seems simple but if you include it in your arm routine you will notice great results sooner rather than later. That movement is the Dumbbell Wrist Curls. One way to help improve your forearms is to simply squeeze the handles of whatever piece of equipment you are using when training for dear life. Start out by placing two dumbbells on the floor in front of a flat bench. Sit down on the edge of the flat bench with your legs at about shoulder width apart. Make sure to keep your feet on the floor. Use your arms to grab both of the dumbbells and bring them up so that your forearms are resting against your thighs with the palms of the hands facing up. Your wrists should be hanging over the edge of your thighs. Start out by curling your wrist upwards and exhaling. Slowly lower your wrists back down to the starting position while inhaling. Make sure to inhale during this part of the exercise. Your forearms should be stationary as your wrist is the only movement needed to perform this exercise. Repeat for the recommended amount of repetitions. Click Here For A Video Demonstration Of Seated Dumbbell Palms-Up Wrist Curl. You can do these with a barbell, a cable, or other ways. For those movements as well as video demonstrations you can check out the Exercise Database on the Bodybuilding.com Supersite. The forearms have something in common with the calves. They are both used to being worked a lot so you can train them more than once a week. Just make sure when you choose to train them that you give them the same focus you would any other muscle group. These routines should help you do just that. I am willing to bet that when Bodybuilding.com Editor-in-Chief Kris Gethin designed DTP he wasn&apos;t thinking about forearm training but it is effective. DTP is quick and very intense. It will also serve as a good cardio workout. 12 sets with only 45 seconds rest is all it takes to get through DTP. Oh yeah. You do a total of 310 reps. The rep scheme ranges from 50 down to 5 and then you go from 5 back to 50. This is a great workout and the pump in your forearms will be addicting. If the pump doesn&apos;t push you the results will. 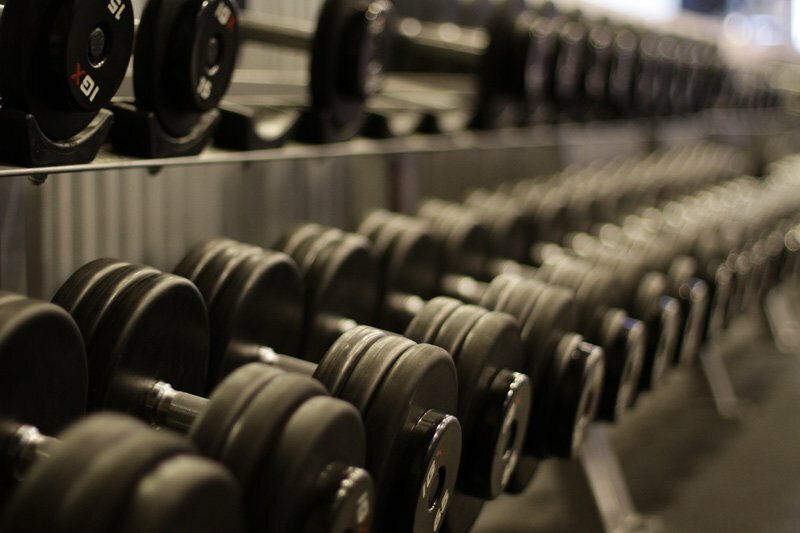 Note: You will want to grab the dumbbells you plan to use in advance so no one else takes them when you need them. This is an interesting workout to do with a partner. You have a little friendly contest to push yourself and your partner. You do 10 reps and then your partner immediately does 10. Then the partner hands it back to you and you do 9. Hand off to the partner for 9. This goes back and forth until you both reach 1 and then the fun begins. You go for as many reps as possible on the last set. Once you reach failure your partner does the same. Whoever reaches the most reps on the last set is the winner. This is a great way to force each other to work harder and make the workout more fun. The way described in this article has your hands facing up. If you want to change it up do a superset where you reach failure this way and then flip your hands over so they are facing down and do reverse wrist curls to failure. Four supersets of this with one minute rest in between will make sure the forearms are toasted. I bet Evogen Nutrition Founder Hany Rambod wasn&apos;t thinking about the lower arm when designing this system either. Again it is effective if used properly in developing your forearms. Fascia Stretch Training 7 works regardless of what it is you are training. The part to focus on is the seven sets of 8-12 reps with no more than 45 seconds rest between each set. You can use one version of the wrist curl and do 3-4 sets before using the other version for the sevens. Next time you are in the gym do this program the other way where the regular wrist curl is used for the sevens at the end. Reverse Wrist Curl: 3-4 sets of 8-12 reps with 90 seconds rest. Wrist Curl: 7 sets of 8-12 reps with no more than 45 seconds rest. You can also do FST-7 Reverse. Do the 7&apos;s first with either exercise and then do the other movement for 3-4 sets. Reverse Wrist Curl: 7 sets of 8-12 reps with no more than 45 seconds rest. Wrist Curl: 3-4 sets of 8-12 reps with 90 seconds rest. Hopefully you have a new appreciation for how important the forearms are in not only completing the entire arm but the entire physique as well. These routines will help you build them and make you feel proud to show them off. Forgotten Body Parts: Build Up Toothpick Forearms & Deflated Calves! Do you ever wonder what separates serious bodybuilders from the rest? It&apos;s their meticulous attention to detail. They don&apos;t neglect the forgotten body parts - forearms and calves. Here&apos;s what you need to do. If you don&apos;t train forearms, your arms just aren&apos;t going to look complete. Here are some great tips and a sample arm routine to do what you need! Try it out.